I can't stop eating this pudding mousse. I'm not even joking, this stuff is sooooo good. This is one of the easiest desserts I have ever made. This recipe comes from the self-proclaimed "Pudding Mousse Queen", Ashton. I faithfully give her that title, because this stuff is AMAZING! I love all the textures. 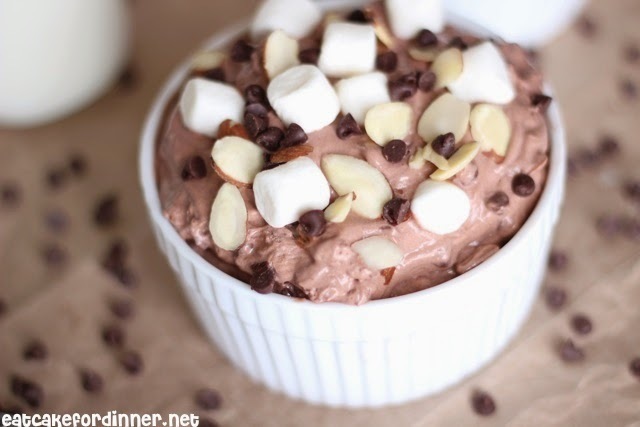 The light and fluffy like a cloud pudding and chewy marshmallows with the crunchy chocolate chips and almonds. It's like a party in your mouth. 1 tsp. vanilla extract, opt. 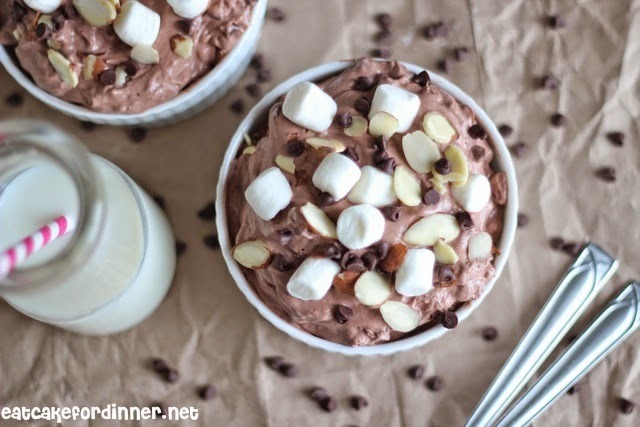 * You can use sugar free pudding mix, sugar free Cool Whip and sugar free chocolate chips to make this a low-sugar dessert. Jenn's Notes: The only thing I did differently is I added way more marshmallows. I love marshmallows! This stuff is amazing. 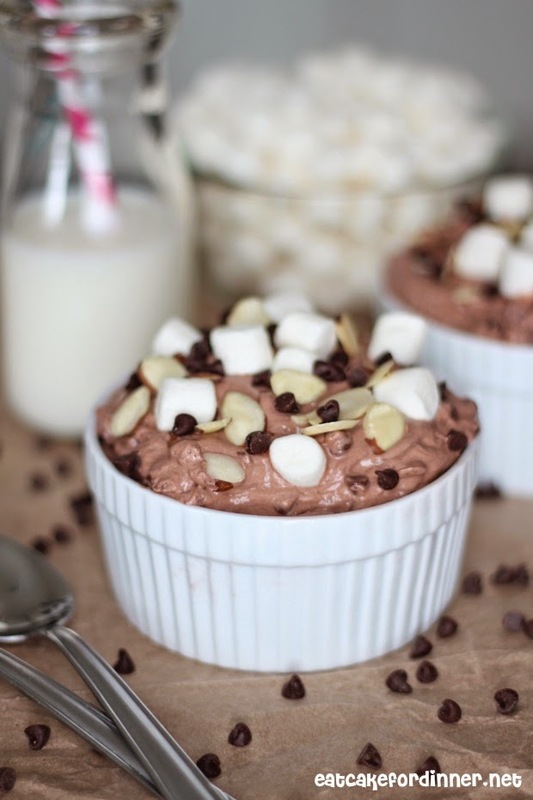 You had me at Rocky Road! delicious recipe! That is how I was when I first saw the recipe too! Rocky road? Not usually my thing, but this looks so good! OH, but this is soooo good! There's isn't one single thing in this dessert that I don't love! Yum! And we all need a go to easy dessert! Would love it if you'd share this at Saturday Share With Us! Oh wow what have you done! This is so not good for me :) I need to make this immediately.. Pinning. Thanks for the great recipe. Do it, make it right now! Thanks for the pin. Yum! I love how easy this looks - Love the marshmallows! It is so easy and super yummy! This is a perfect dessert for chocolate lovers! Thanks for the invite. Yum! That looks amazing. Is 10:00 at night, too late for chocolate mousse?....I think not! It's never too late for pudding mousse!! This looks so delicious! I can't wait to make it! I can't wait for you to make it too - soooo yummy!